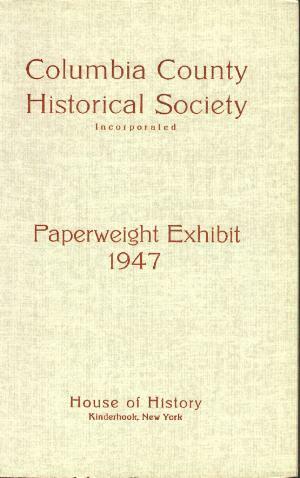 This is a catalog from one of the earliest paperweight exhibitions in the US. The collection belonged to Vernon Conner. There are 257 paperweights listed, of which 32 are pictured in black and white. To put this in context this exhibit occurred only 7 years after Bergstrom's original book. 26 pages. Five black and white plates of paperweights plus one of the historical society. Soft bound. 6" by 9". 1947. 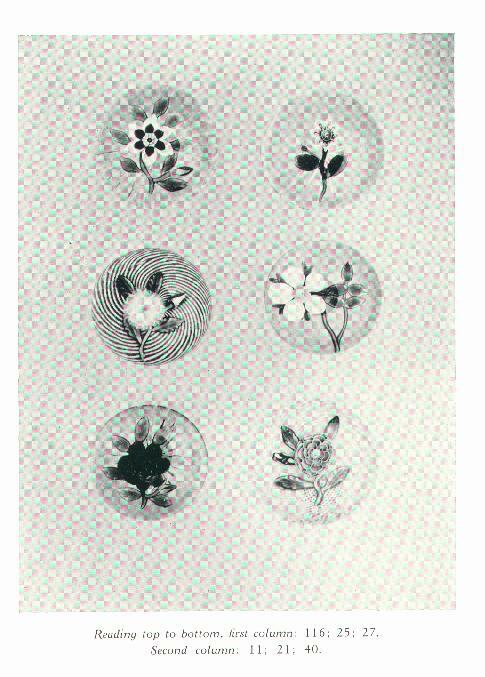 Click on the picture to see a plate from the book (it didn't scan very well).